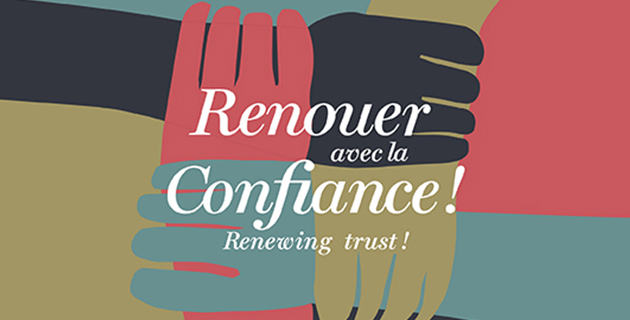 RENEWING TRUST ! 5, 6 & 7 July 2019 In order to reconnect with trust, and provide an answer to growing pessimism, solutions still need to be invented. This spleen, strengthened by all the metamorphoses impacting our world, leads to . . . 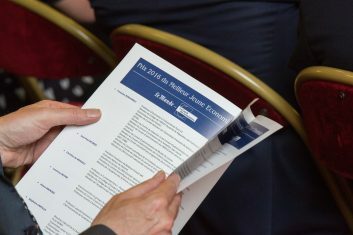 The 2019 Prize for Best Young Economist will be awarded by the World and tLe Cercle des économistes on May 13th, 2019. 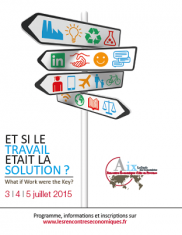 May compete all French economists under 41 years of age on June 1, 2019, from the world of . 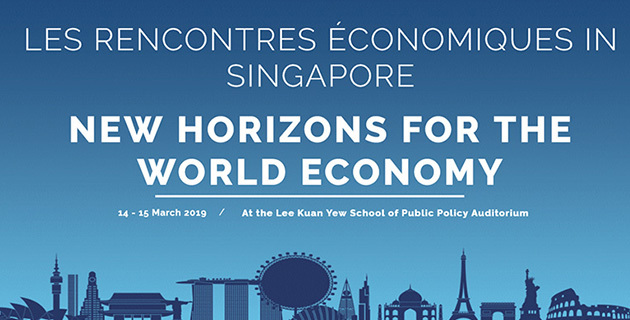 . .
Rencontres Économiques in Singapore 2019 “New Horizons for the World Economy ” “Les nouveaux horizons de l’économie mondiale” https://www.youtube.com/watch?v=uwYBC9wXYjI While globalization has been accelerating, voices arise against an ever more integrated global economy. Innovation . 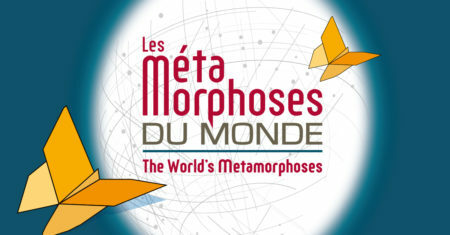 . .
“THE WORLD’S METAMORPHOSES” 6, 7 AND 8 JULY 2018 A precursor theme, marker for the global economic discussion. 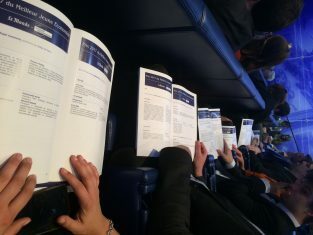 In order to choose the new edition theme and program, all 30 members of Le Cercle des économistes have led an . . .
Gabriel Zucman, 31 ans professeur à l'Université de Berkeley en Californie est le lauréat de la 19e édition du Prix du Meilleur Jeune Economiste, créé en 2000 par le Cercle des économistes et Le Monde. 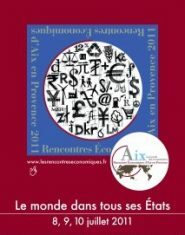 Les 3 économistes nomin . . . 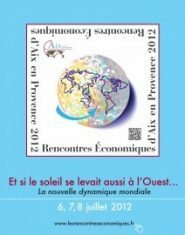 In search of new forms of prosperity 7, 8 et 9 juillet 2017 Confronted to the main issues that are shaping our world, we will address the forms of a renewed prosperity which is not anymore the only result of . 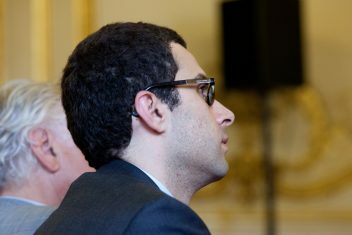 . .
Agé de 39 ans, Antoine Bozio dirige à Paris l’Institut des politiques publiques. 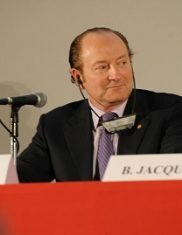 Il est maître de conférences à l’EHESS et chercheur associé à Paris School of Economics et à l’Institute for Fiscal Studies de Londres. Normalien, il a . . . 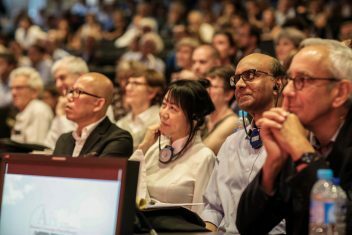 Inspired by Les Rencontres d’Aix-en-Provence in France, the first edition of Les Rencontres Économiques in Singapore - France-Singapore Economic Forum -will be organize by le Cercle des économistes, in collaboration with ESSEC Business School, the Economic Society . . . In a World of Turmoil, what is a Nation for? 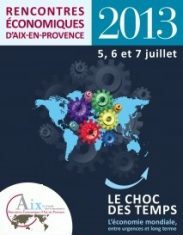 1, 2 & 3 july 2016 The 16th edition of Les Rencontres économiques d’Aix-en-Provence will be dedicated to the role of a country in a globalized world . 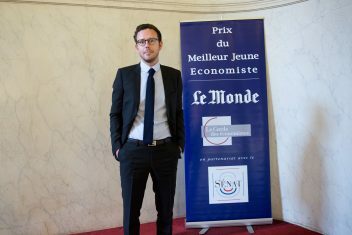 . .
Camille Landais: Best Young Economist of France 2016 Camille Landais is a professor at The London School of Economics and Political Science. 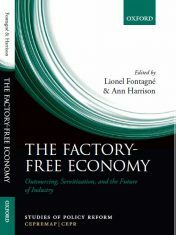 Co-editor at the Journal of Public Economics, alumni of the Ecole Normale Supérieure, he completed his . 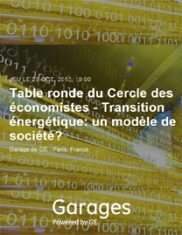 . .
Roundtable Cercle des économistes – Energy Transition: A Model of Society? 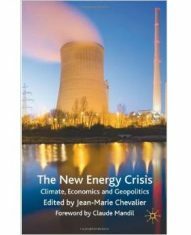 Energy transition, at the heart of the fight against climate change, is a change of the global “economic model” responding to the need to produce wealth while emitting less CO2 . 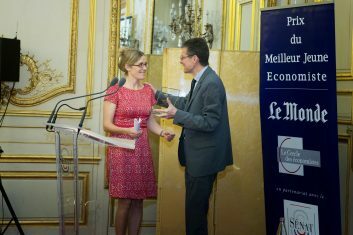 . .
Pascaline Dupas : Best Young Economist of France 2015 On May the 18th, Pascaline Dupas, Associate Professor of Economics at Stanford University, received the Best Young Economist of France Award 2015 for her work on education and health policies in Africa . 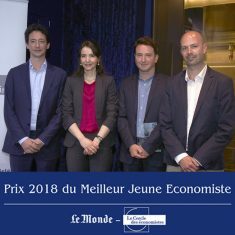 . .
Pascaline Dupas : Prix de la Meilleure Jeune Economiste 2015 Le 18 mai 2015, Pascaline Dupas, Professeure associée à l’université de Stanford, a reçu le Prix 2015 du Meilleur Jeune Economiste pour ses travaux portant sur les politiques de . 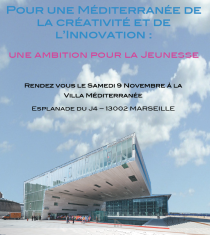 . .
“What contribution the Social and Solidarity Economy can it provide to the development in the Mediterranean ?” Organization: The tenth conference of RV Med, organized by the Institute of the Mediterranean/Femise & the Cercle des économistes will be held in . 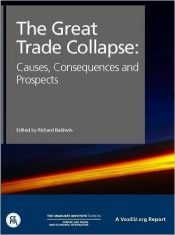 . .
After a long period of economic development and expansion, the world is at a turning point in its history. 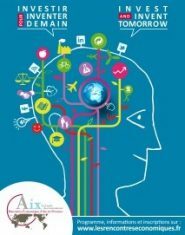 The 14th annual conference of “Les Rencontres économiques d’Aix-en-Provence” was focused on the topic "invest and invent tomorrow . . . The Best Young Economist of France Award, organised by the Cercle des Économistes and Le Monde, aims at rewarding academic excellence, innovation capacity and contribution to the public debate. The Best Young Economist of France Award 2014 was handed to . . . 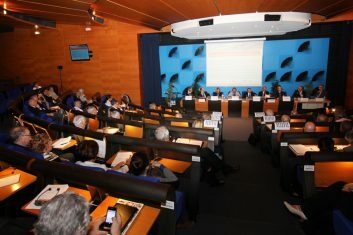 The Cercle des économistes organised the first edition of the Rencontres Économiques de Casablanca with the topic : « Is Africa the World's Future ? ». These Rencontres were held onthe 9th and 10th of April at the Hyatt Regency Hotel. Initiated by . . . 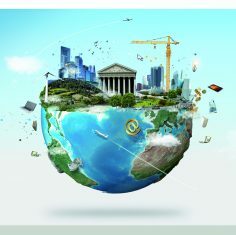 The World Economy, between Emergencies and the Long Term The world economy has a past, a present, and a future. But it is also made up of a myriad of different approaches to time. Countries, cultures, sectors of activity conform . . . The Best Young Economist of France Award, organised by the Cercle des économistes and Le Monde, aims at rewarding academic excellence, innovation capacity and contribution to the public debate. 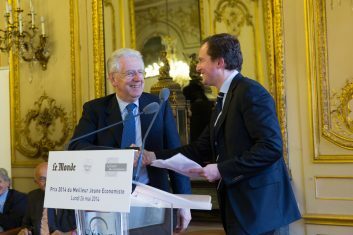 The Best Young Economist of France Award 2013 was handed to . 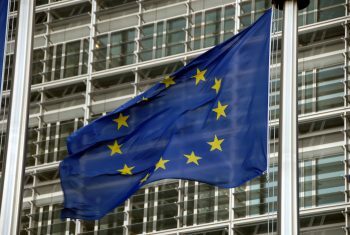 . .
"New powers, new economic programs in the Mediterranean" Rarely the situation of the Mediterranean has seemed so uncertain. On one side the unprecedented economic crisis and on the other a political revolution which seeks stability. This exceptional situation should allow . . . 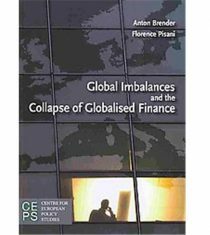 The New Global Dynamics Over the last 10 years, there has been a strong belief forming of the final shift in economic and eventual political power from OECD countries to emerging nations. 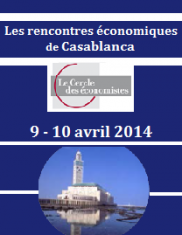 The purpose of the 12th Rencontres Économiques d . . .
We have now reached the end of an economic cycle. After 30 years of attempting to reform the State and discussing its role, one question remains. Is the comeback of State interventions these last few years a passing trend, a . . .
Europe has responded to the crisis with strengthened budgetary and macroeconomic surveillance, the creation of the European Stability Mechanism, liquidity provisioning by resilient economies and the European Central Bank and a process towards a banking union. However, a monetary union . . . 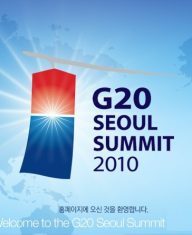 The hard question is how to meet the targets US TREASURY Secretary Tim Geithner has recently proposed that the G20 countries “undertake policies consistent with reducing external imbalances below a specified share of GDP”. Countries “running persistent deficits should boost . . . 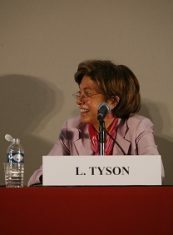 This article was written by Laura Tyson, S.K. and Angela Chan, Haas School of Business,University of California at Berkeley, at the occasion of Les Rencontres Economiques d'Aix-en-Provence 2009 “Growth, Demography, Finance: from Major Economic Breakdowns . . . 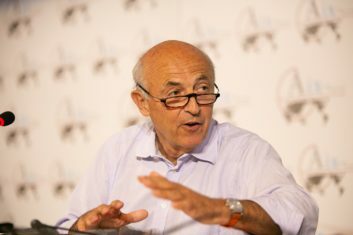 This speech was given by Robert C. Merton, Nobel Prize of Economics and Professor at Harvard, during the Rencontres Economiques d'Aix-en-Provence 2008 "Firms, The New Frontiers" Read the full article The theme of the conference, “firms”, revolves . . .